Stop The Rider, one of the Scorn's eight Barons. 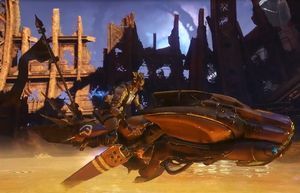 Target: The Rider is a Baron Hunt Adventure located in the Tangled Shore within The Reef. The Guardian needs to hunt down The Rider, a Pike-riding Scorn Baron.